Huge Savings Item! 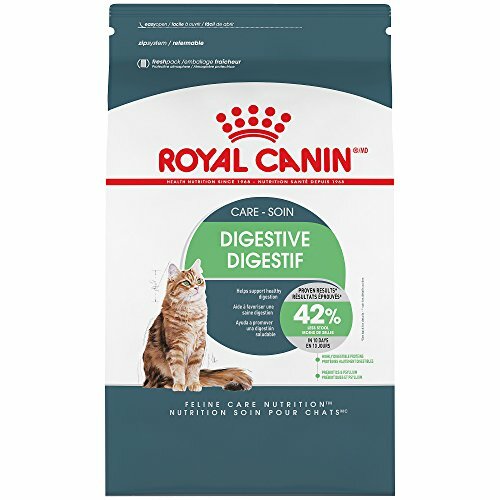 Save 11% on the Royal Canin Feline Care Nutrition Digestive Care Adult Dry Cat Food, 3 lb by Royal Canin at newmexicoveterinary.org. MPN: 30111444202. Hurry! Limited time offer. Offer valid only while supplies last. A sensitive stomach and digestive tract may result in a large quantity of poor quality stool, which can be indicative of poor digestion. A sensitive stomach and digestive tract may result in a large quantity of poor quality stool, which can be indicative of poor digestion. Additionally, swallowing too quickly without sufficient chewing can lead to regurgitation. Complete and balanced nutrition for adult cats - formulated to help support healthy digestion proven results 42% less stool. If you have any questions about this product by Royal Canin, contact us by completing and submitting the form below. If you are looking for a specif part number, please include it with your message.